Please support our youth and give to this program. Donations are made in $50 Increments to support a student. if you want to give more, simply increase the quantity and we can provide additional support to more children. 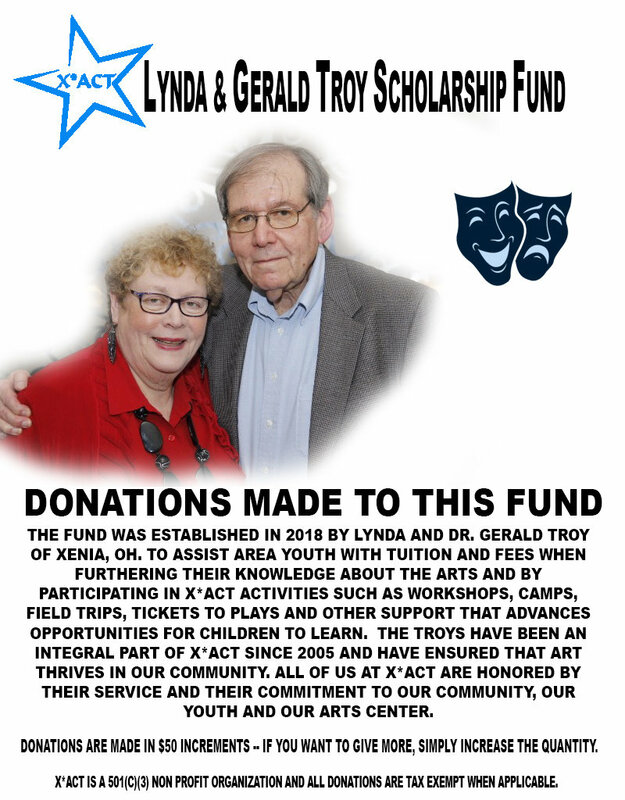 The fund was established in 2018 by Lynda and Dr. Gerald Troy of Xenia, OH. to assist area youth with tuition and fees when furthering their knowledge about the Arts and by participating in X*ACT activities such as workshops, camps, field trips, tickets to plays and other support that advances opportunities for children to learn. 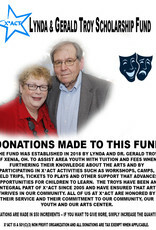 The Troys have been an integral part of X*ACT since 2005 and have ensured that Art thrives in our community. All of us at X*ACT are honored by their service and their commitment to our community, our youth and our Arts Center.